Mosquitoes can be a huge problem for many homeowners. Not only are the tiny pests annoying, but their bites can cause everything from a mild, itchy bump to West Nile disease. Mosquitoes require stagnant water to breed so the more sources of stagnant water you can eliminate from around your property the fewer mosquitoes you should suffer. One source of stagnant water can be a backyard fountain. 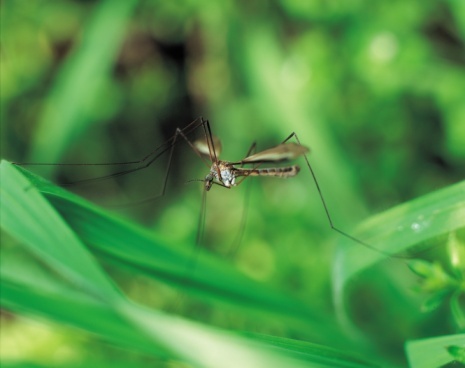 Fortunately there are several natural things you can do to keep mosquitoes from breeding there. 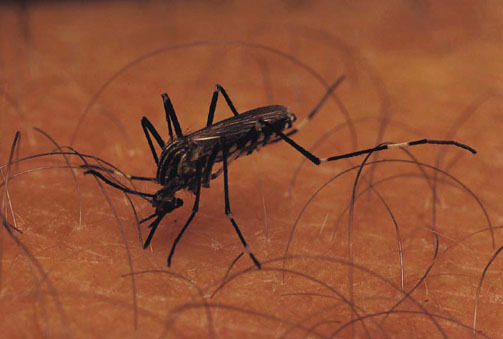 Mosquitoes can ruin an outdoor evening or even pass on potentially life-threatening diseases. Sprinkle cinnamon into your outdoor fountain. Adding even 5 percent cinnamon will kill all mosquito larva in approximately 24 hours, but a concentration of 15 percent cinnamon will kill the larva in closer to six hours. Adult mosquitoes will not land or lay eggs in water containing cinnamon. Common cinnamon available at your local grocery store is all that is necessary, stirred into the water. Fifteen pounds of cinnamon mixed into 100 gallons of water creates approximately a 15 percent concentration. Add vinegar to the water in your pond until you have added approximately 15 percent vinegar based on the total volume of water in your fountain. In other words, if your fountain contains 100 gallons of water you will need approximately 15 gallons of vinegar. A 15 percent solution of vinegar will kill all mosquito larva in approximately 18 to 20 hours and kill any mosquito eggs. Pour citric acid into your fountain until the acid makes up approximately 15 percent of the total volume of liquid in the fountain. The acid repels adult mosquitoes and kills larva within 42 to 45 hours. Add common household bleach to the water in your fountain each week to kill mosquito eggs and larva. A 15 percent solution of bleach kills all mosquito larva and eggs within six hours. Only add bleach to the water if fish are not present and there are no plants that the bleach can affect. Sunlight breaks down bleach quickly, so add bleach to the water in your fountain in the early evening hours in order to give the bleach time to work. Add bleach to the water in your fountain every 7 to 10 days to be totally effective. Stocking your fountain with mosquito-eating fish such as Koi, Sarasa Comets, or Shubunkins can end your mosquito problem while adding a new level of enjoyment to your fountain. Mosquito-eating fish can each consume up to 100 larva per day. What Can You Put in Pools to Kill Frogs?